PrettyBallerinas, Spanish brand known worldwide for its adorable ballerina shoes, and recently arrived in Italy with an elegant flagship store in Via Montenapoleone in Milan, offers an autumn winter 2011 2012 inspired by the refined atmosphere of the ’40s revisited with suggestions glamorous rock. For the winter you will use not only the classic high-heeled shoes and rounded but pointed models (Model “Victoria” for example) are characterized by a line parade and animal print and bows. The model then Pam, even has a triangular-shaped tip gives an elegant look with the whole grim reminder of the ladies of the ’40s retro style with leather tassels or lace and sparkling Swarovski crystals applications of leopard print. 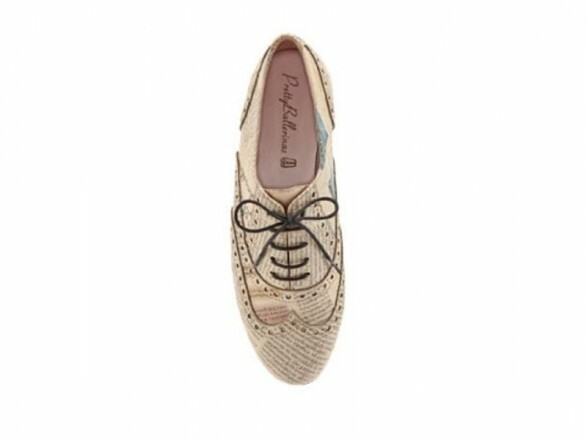 The flakes are a must for retail shoes of the season and also fall winter 2011 2012 shoes PrettyBallerinas this trend as their own and also provide amazing metal with bows and lace, almost burlesque effect. While fans of the style glam rock or a little ‘grunge tastes are catered for with their mysterious black-and-white dancers in black paint with a big bow geometry, for the first time combined with the essential design of wedges. Finally, evocative and romantic celebration of the dancers with applications of hearts, the words “I Love You” and the applications will surely cut diamond that good New Year’s Eve or Valentine’s Day.